stamp marked M. Willson, 68 Great Queen Street, London. * on the top edge of the two middle drawers. 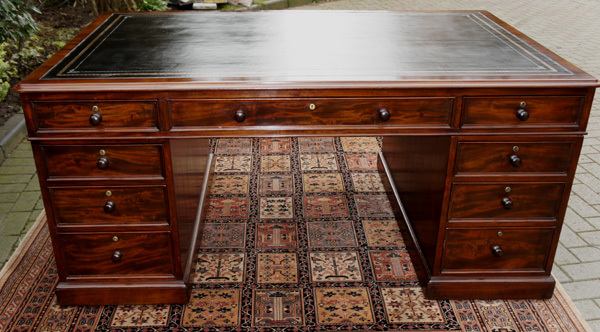 The desk is made with top quality attractively figured mahogany timbers throughout. and would look stunning in any traditional or contemporary office as it has clean lines and a classic stylish design. with gilt and blind tooling surrounded by a cross band of mahogany with a thumb moulded edge. 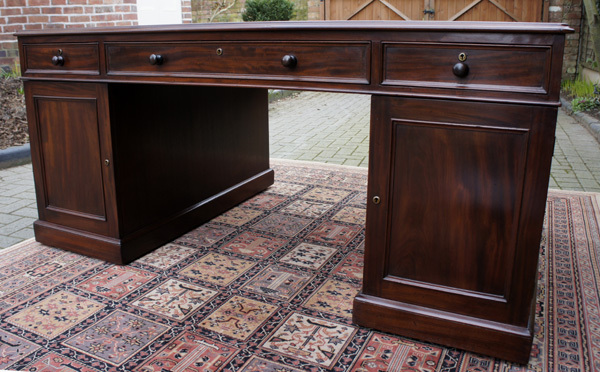 As a partners desk there are three drawers to either side and all drawers have mahogany linings with hand cut dovetail joints. All drawers have ogee mouldings to the front edge, turned mahogany pull handles and the original brass locks and escutcheons. 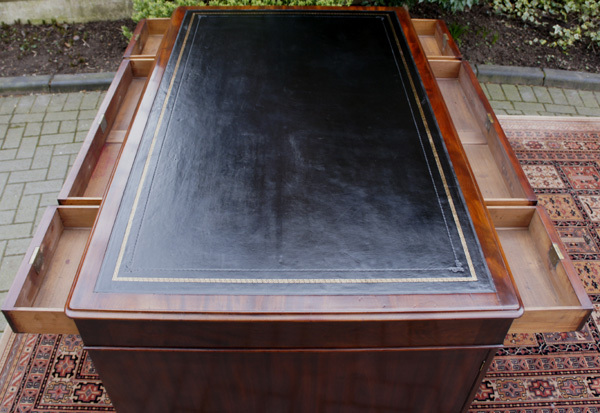 The pedestals are each fitted with three drawers to the front, which are remarkably clean given the desks age, and cupboards to the reverse. 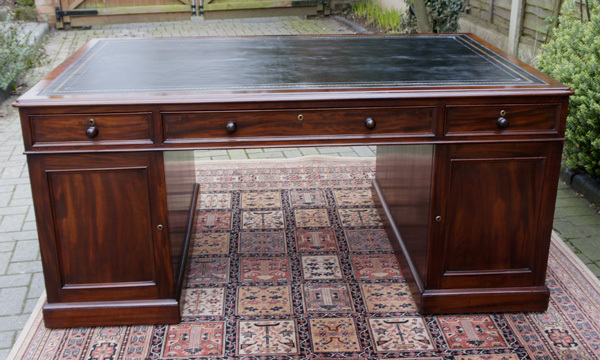 The desk stands on plinth bases with hidden castors beneath allowing it to be moved freely once it is set up. The cupboards to the reverse both have an adjustable shelf. As with all pedestal style desks it is made in three sections, the top and separate pedestals, for ease of transportation and installation.